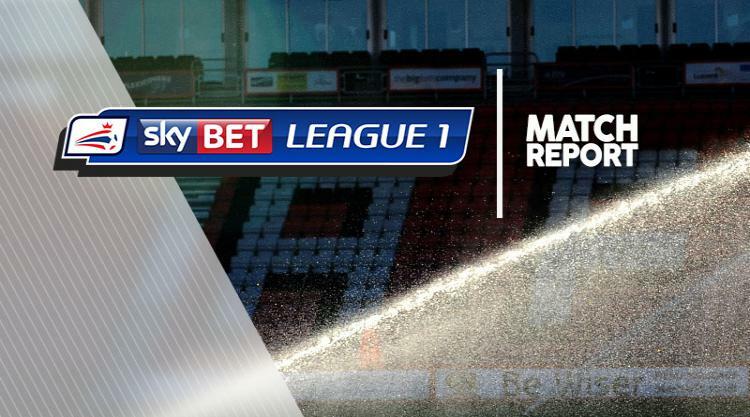 Goalkeeper Neil Etheridge's heroics helped 10-man Walsall stun Bolton as they ended Wanderers' unbeaten start to the season with a gutsy 1-0 victory. Walsall had to play most of the game a man down after Joe Edwards' 16th-minute sending-off, but Jason McCarthy gave them the lead nine minutes later and Etheridge kept Bolton at bay. Wanderers almost took the lead after 13 minutes but Jamie Proctor's looping header from a Chris Taylor cross clipped the bar. Edwards was shown a straight red card three minutes later for elbowing Taylor as the pair jumped. However, the 10 men of Walsall went in front after 25 minutes as Bolton keeper Mark Howard flapped at Kieron Morris's free-kick, allowing McCarthy to bundle home into an empty net. The away side almost levelled two minutes later but Lewis Buxton's header was cleared off the line by Andreas Makris. And as Bolton turned the screw in the second half, Etheridge made superb saves from two close-range David Wheater headers, a 20-yard Taylor drive and Proctor's 12-yard half-volley. To compound the visitors' misery, substitute Keshi Anderson - booked for entering the field of play prematurely on his introduction - was shown a second yellow for a stoppage-time foul on Scott Laird.